While my morning skincare routine (here and here) sets me up for the day, my evening skincare ritual is my “unwind and take off the day” that I need on a daily basis. As a busy, working mum of three children, a husband who works a lot from home and two cats who seem to want my attention all the time, it often feels like I have no time for me myself and I. 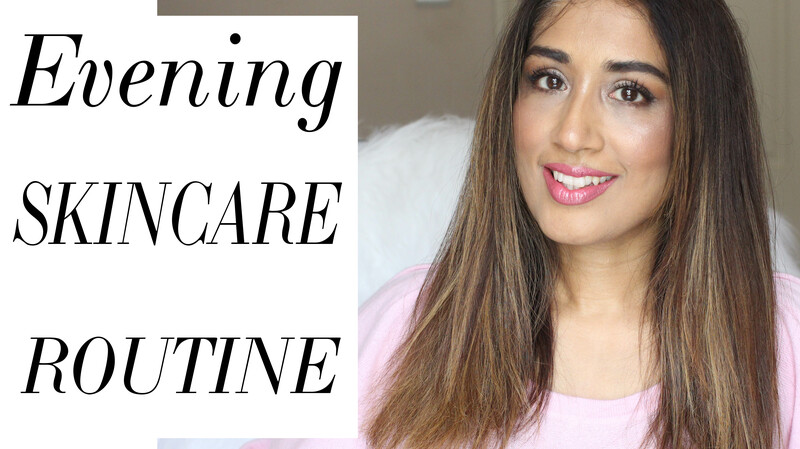 My evening skincare time is MY time, and believe me when I say, there are days when I positively look forward to escaping to my bathroom and away from all the bustle of the house, even if it’s just for the five minutes or so that it takes. As I said in my morning routine, there’s something about methodically going through the different products and treatments I use that is almost meditative and reassuring, almost like a reset button to a busy day. Click on the little YouTube icon at the bottom right hand corner of the video screen so that you can watch in full HD and don’t forget to click to subscribe to my channel while you’re there. Any questions, let me know and I’ll be sure to answer them all. All products are linked for you below here and under the video over on my YouTube channel too.